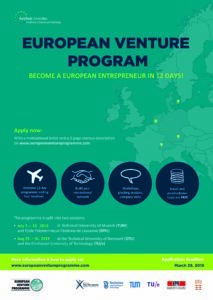 The European Venture Programme is the EuroTech Universities Alliance contribution to a more vibrant scene of scalable start-ups in Europe. 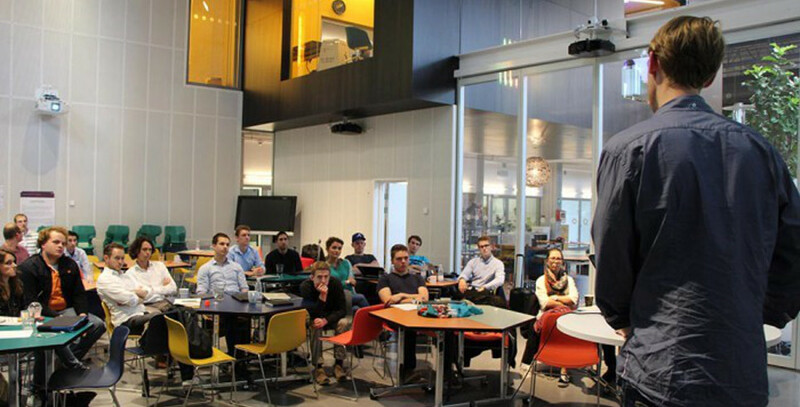 The programme offers 20 young start-ups exclusive access to the entrepreneurship expertise and networking resources available at the six EuroTech Universities. The intensive 12-day programme takes entrepreneurs on a journey to four different ecosystems, where a mix of thematic workshops, company visits, and public pitching competitions will enable the startups to grow their business beyond borders. EVP started in 2015 as an Erasmus+ funded strategic partnership and supported participating start-ups in different areas such as Health, ICT, Agro/Food, CleanTech, Mobility and Energy. 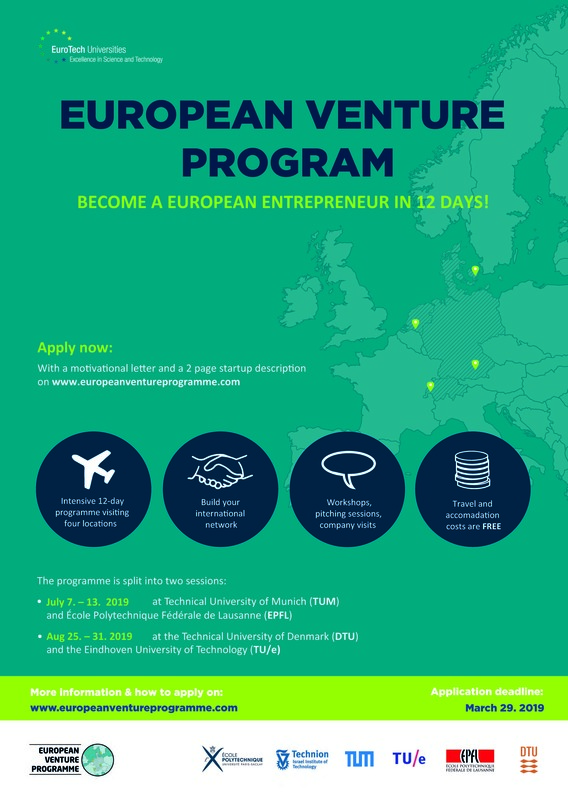 This unique opportunity, offered to five start-ups from each technical university (DTU, EPFL, L’X, Technion, TU/e and TUM), is funded by the EuroTech Universities Alliance. You are currently enrolled at one of the six EuroTech Alliance Universities (student, PhD or Post-Doc). You have a concrete technological business idea and have the ambition to build a company based on that idea. You have a basic business case or business plan, and you have a vision of the steps that need to be taken to further develop your idea into a product/service (roadmap). If possible, you have some idea about the amount of money your company would need to realize this roadmap. Unique workshops (solid business plan and company, product, team, funding and finance, the market, internationalization, competition, IP and marketing) that will give you the best approaches to becoming an international entrepreneur. Valuable insights and testimonials from successful entrepreneurs from the four ecosystems. Pitch training and the opportunity to pitch your idea to an international audience. Visits to successful startups as well as large corporations and the possibility to meet investors. At the end of the programme the best projects will be awarded with the EVP prize. Gaining valuable experience among the best in technical startup development. Having a unique opportunity to build your start-up network amongst Europe‘s finest technical institutes. Bringing innovation to all aspects of your enterprise. Sharing and building experience with your peers and creating a community of international entrepreneurs. Find the past programme curriculum here. Deadline for application is the 29th of March 2019!